In a city with roots that stretch back four centuries, it take some doing to be considered old. On Wednesday the Albany County Legislature recognized the 150th anniversary of Lodge's proclaiming it "B. Lodge & Co. Day" in the county. Mark Yonally currently owns Lodge's with his sister, Sharon Freddoso. They took over the business in 2011 from their parents, who had owned it since the 1990s (and worked there since the 1980s). We talked with Yonally for a few minutes about being part of an Albany tradition, staying afloat in the age of Amazon, and how things are going downtown. So what does it mean to you to be part of such a long tradition? It's extremely important to me. I'm constantly thinking about how I can make this place better and just also live up to what we've done in the past. I try and take care of every customer big or small. I try to do the right thing with each one of them and and help where I can. And knock on wood, it keeps coming back to us. One hundred fifty years is quite something. We're extremely proud of it. We work really hard at it. What do you think the lessons are of having such a longterm, persistent success in business? So, there's a lot of different things. There's a lot of different aspects that go into making this place work. But the biggest thing is just taking care of your customer. 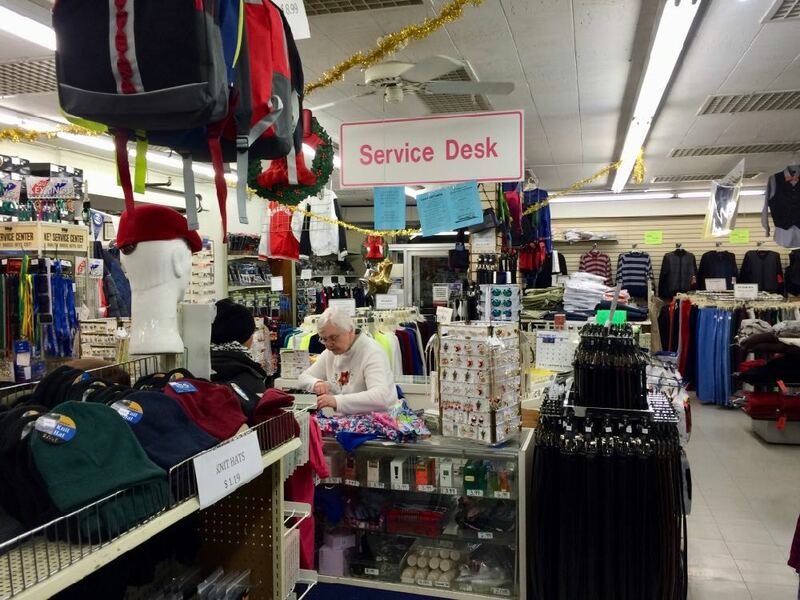 It's listening to the needs of the customer and trying to help as many of them to find exactly what they're looking for -- whether it's one item or a hundred items. And just, I mean, we're very customer focused. It's so important when people come in here they get greeted, they get welcomed to the store and we try to help them to find what they're looking for. If I can help, even if I don't have it, if I know where they might be able to find it, I help them find it elsewhere if I don't have something. My goal is just that people find whatever it is that they're looking for and when they're looking for something else, if I wasn't able to help them on this item they'll think of me again. Just we try and help. 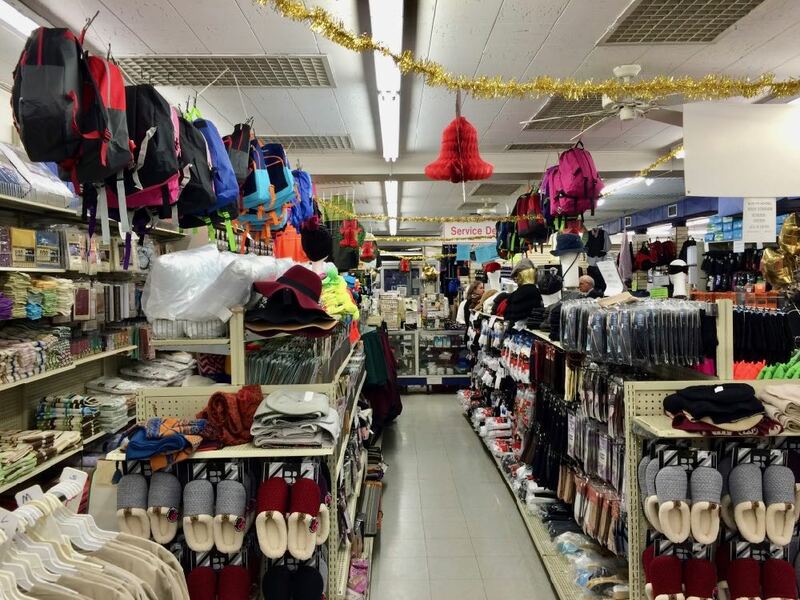 The retail businesses has changed tremendously, obviously, over the history of the store. And now we're sort of at the beginning of one of the biggest changes probably ever in retail, with the internet and companies like Amazon. So, looking to the future, how does Lodge make sure it's here for another 150 years? We're hearing more and more in the market about how there's a lot of the lot of the bigger retailers are struggling. We're having one of our best years. We listen to our customers. We try to help our customers with whatever it is they're putting together. We're not greedy in our markups, we're very fair. We have a set markup. I don't look at necessarily where everyone else is in the market on an item. If I'm able to charge you ten dollars and it's out there for 20, I'm thrilled that I'm that much less than everyone else. I make sure that I'm competitive with everyone else. But I don't worry about where they are. I don't try and get that extra 5 dollars if it's there to be made. I give you a set markup and people respect that. To what extent do you think Lodge's can coexist with companies like Amazon? I think you'll find it's the smaller stores that will last. We're a part of the community. We give back to the community. We help in our community. I honestly feel... Amazon's not going anywhere. That sort of thing is only going to grow. That being said, people love being able to go into a store where they know the people that run it. They know the workers. They know that they're going to get a good customer experience and hopefully find exactly what they're looking for. So I really feel we're in it for the long haul. We're not going anywhere. 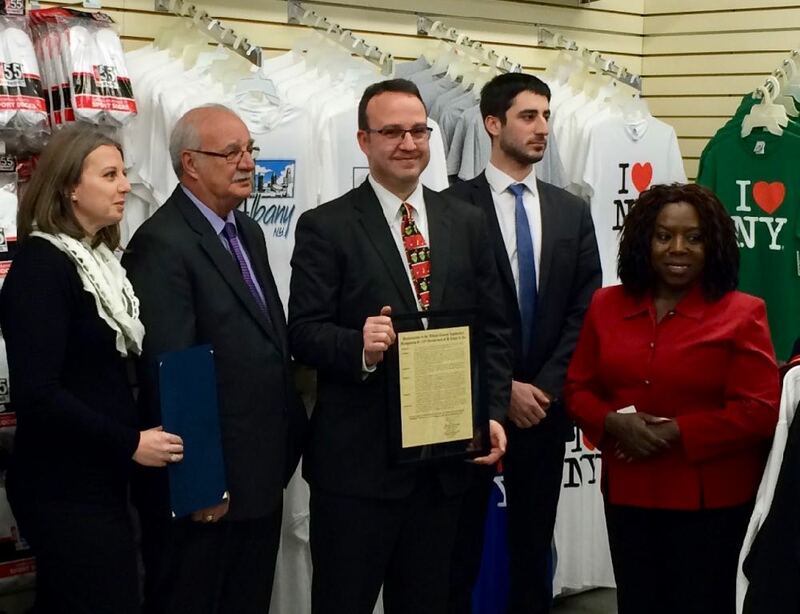 I'm thrilled to say that our 150th year has been one of our best yet. And we're looking forward to many many more. 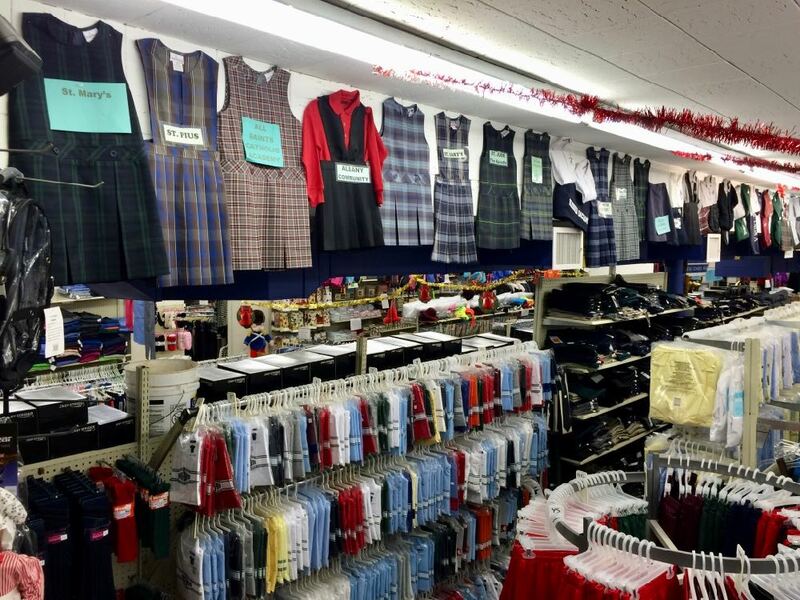 One of the things Lodge's now specializes in is school uniforms. What's your sense of how things are going in downtown Albany? I am extremely positive on what's going on downtown. Nothing ever happens fast enough for me. I wish things would happen quickly. But if you look at the momentum and what's happening down here I think there's a lot. There's way more positives happening than negatives and I think we'll continue to move forward. There is so much residential going on down here. As well as running our business, we have rental properties and we have apartments as well. We have never had an issue renting any of them. We kind of rent them similar to the way we run our store. I don't look at what everyone else is getting, I look at what I think is the appropriate price so that I can make money so that my tenants can also make money. I want them to be successful and if they're successful they'll stay long term. As long all the apartments that are proposed for downtown, as long as they keep renting as quickly as they are, the developers are going to continue to build them. And the more residential you have happening down here the more need for the Cider Bellies, The Stacks, the Enchanted Florists, Fifth Tier Bakeries. You know, to be totally honest, I'd be fine with there being other retailers similar to what we do down here because I think you feed off each other and people come and they spend a little here and a little there and sometimes it's just getting people to come to an area. I remember my parents telling me about Christmas in the old days. They would go "into town' and maybe grab a bite at Woolworth's and meet and great neighbors and friends out on the street and maybe go over to their homes and have a warmed mulled cider and then maybe wrap their presents and go caroling and then midnight mass and off to sleep to get ready to make the Christmas dinner. 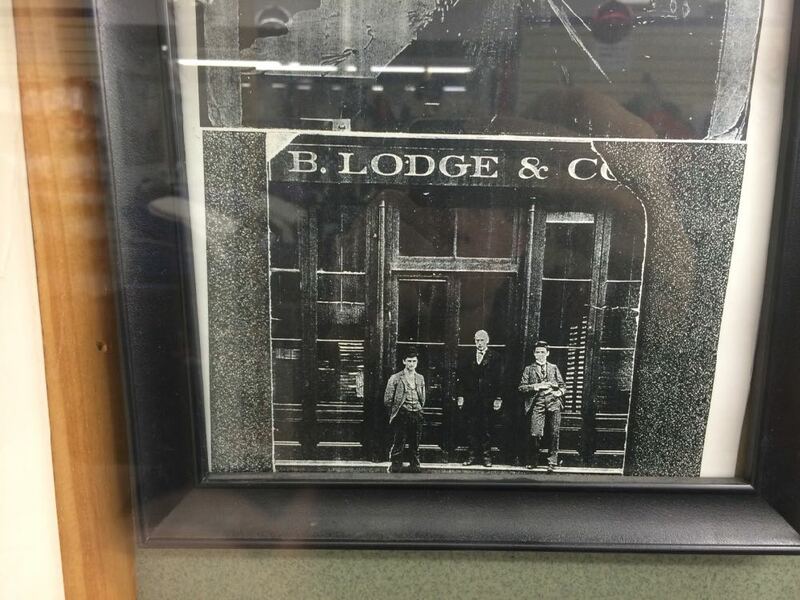 They would shop at little locally owned stores like Lodge's. I can't believe how painful it must have been for them. Now I sit in front of a screen and I order crap delivered to my door the next day and dropped off by some guy rushing to drop off the next piece of crap to next neighbor that ordered something on line all the while never leaving their house. Progress is a beautiful thing...God Bless places like Lodge's! 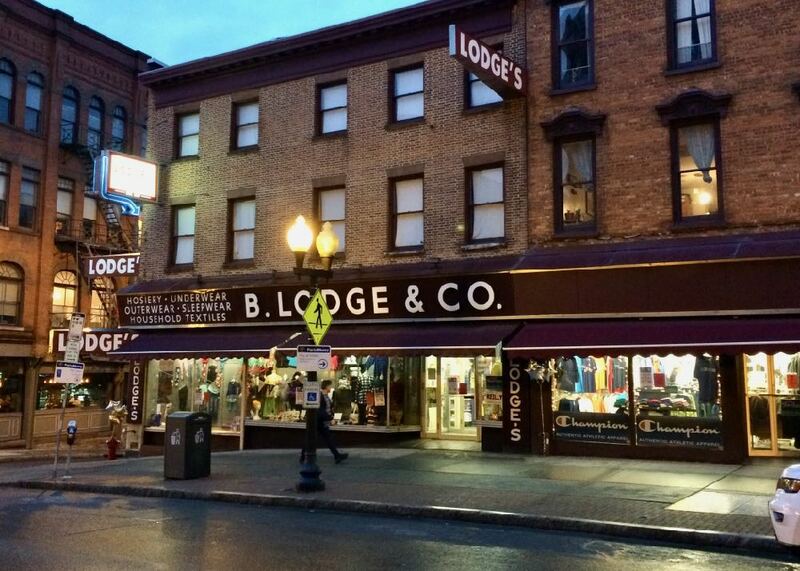 Lodge's is a great store. I first went to Lodge's before I moved to Albany, when I was just wandering around getting a sense of the neighborhoods. They were so welcoming and friendly, and the store is charming, it gave me a great impression of downtown. The Yonally family have been extremely generous to the community, and even always offer a discount when they know I am personally buying things for my students in need. May every kindness be returned to them in the same beautiful way it was offered. Long live Lodge's. MY GRANDMOTHER WAS THERE EARLY 1900 HUNDREDS AND THEN MY MY MOTHER THEY BOUGHT MANY ITEMS FOR THE FAMILY BIRHDAYS HOLIDAYS ETC. GREAT FORMULA FOR A STORE GOOD ITEMS STILL AND BEING OPEN FOR 150 + YEARS 2 YEARS AFTER THE CIVIL WAR IS JUST ASTONDING. THANK YOU.